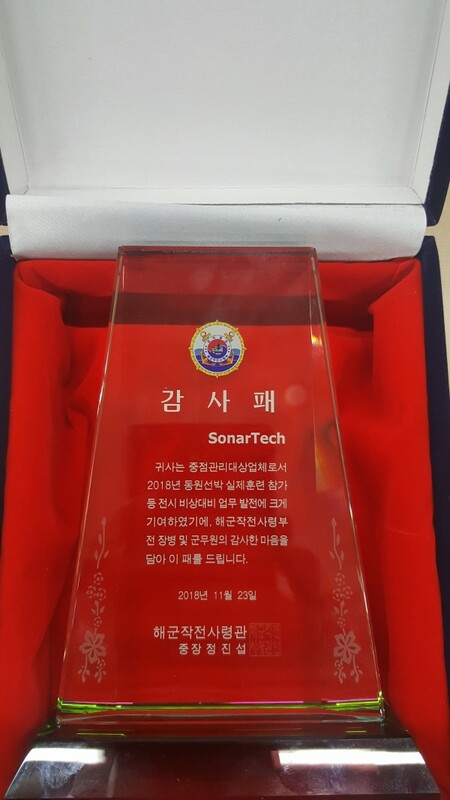 tested and varified the effectiveness using Underwater Hunting Equipments installed in Aux. MCMV. 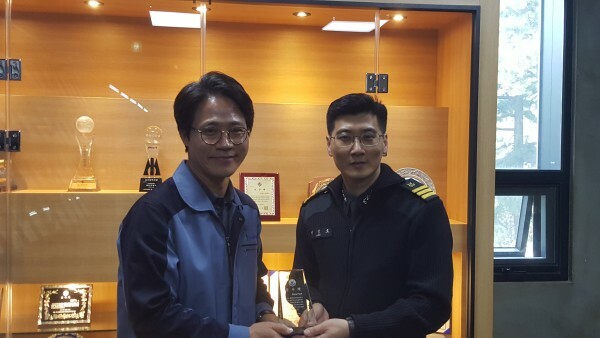 Navy CDR lee, on behalf of Vice Admiral Jung who is the Commander COMROKFLT, gave CEO Park a Plaque.